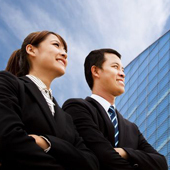 We assist our Clients in their search for individuals from Fresh Entry to Managerial Level. Our database consists of Japanese Speakers and Non-Japanese Speakers who are seeking to build their careers. There are many job opportunities in different industries such as manufacturing, trading, logistics, IT, Finance, etc. with various types of positions for your selection. We specialize in the area of Permanent Placement.